History students from Bishop Grosseteste University (BGU) in Lincoln have delved into archives of student magazines to uncover BGU’s roots as a training college. The project, led by lecturer in History Dr W. Jack Rhoden, saw a group of four BGU History students work with BGU archivist Guenever Moyes to digitise and record a run of student magazines from the late 19th and early 20th century. 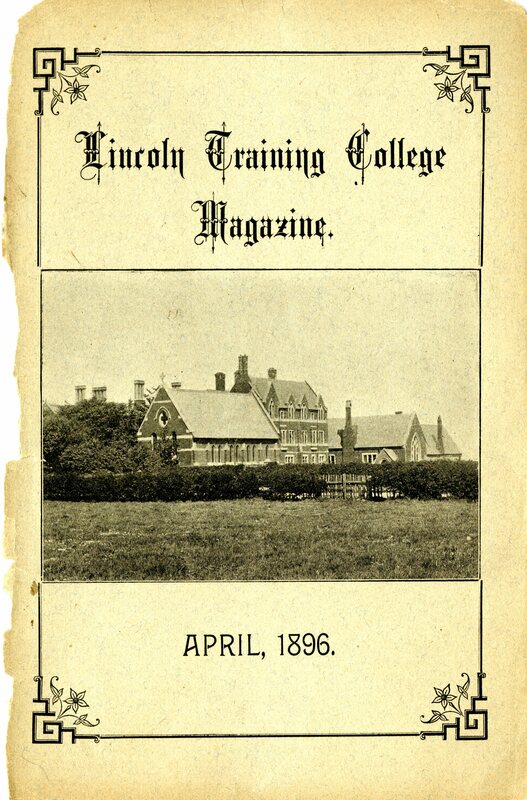 The magazines were written and self-published twice a year by the female students of Lincoln Diocesan Training College (the college was renamed Bishop Grosseteste College in 1962 to mark its centenary) and contain a wealth of insights and information about life at the College. The first edition is from 1895 and there are contributions from former students and discussions of College history going all the way back to its foundation in 1862. We learn from these magazines that there was already an association of past members set up in 1892. The team also discovered that in its first 30 years the College produced nearly 700 students who went on to practice their profession and settle all around the globe, from North America to Australia, India and southern Africa. There is a plan to use these student magazines to inform a temporary exhibition at the British Association of Victorian Studies (BAVS) conference in mid-August 2017, and a more permanent exhibition of College history on campus in the near future. The aim of which will be to inform current and future students of the rich history of BGU as an educational institution with global reach and impact. The project is in its early stages and is just the first of many seeking to digitise and promote the exceptional College records contained in BGU archives. Found out more about History at BGU.